Age 90, of Wyoming, Ohio, passed away peacefully January 26, 2019 with his family by his side. He was born August 14, 1928 in Orange, New Jersey, to Paul H. Jeynes and Margaret Owen Jeynes. After high school in Millburn, New Jersey, Dean graduated from Yale University and received his MBA from Cornell. He came to Cincinnati for his career with Procter & Gamble and married Diane Wrassmann in 1962. As a young man, he sang bass in quartets and played clarinet, saxophone, and piano in swing bands. Photography was another keen interest, from photo shoot to finished and mounted print. 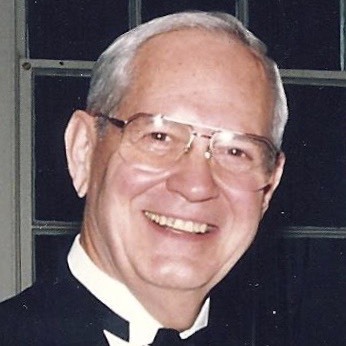 He loved sailing and racing at Cowan Lake, where he helped build the clubhouse and was a founding member and past president of the Cowan Lake Sailing Association. He also sailed at Walloon Lake, Michigan, a place he and Diane dearly loved and visited every summer for decades. He enjoyed camping, hiking, and cycling in locations around Ohio, Michigan, the British Isles, and Europe. His marvelous sense of humor is fondly remembered by all who knew him. He is survived by his beloved wife, Diane Wrassmann Jeynes; his son Scott (Amy) Jeynes of Montgomery; grandson Henry B. Jeynes; granddaughter Emma R. Jeynes; niece Jennifer (Mrs. Michael) Pottner of Mason; nephews Bill Jeynes of Huntington Beach, California, William Wrassmann of Cincinnati, and Keith (Nicole) Wrassmann of Maineville; sister-in-law Tina Wrassmann of Milford; and numerous cousins. He was predeceased by his son Ross A. Jeynes in 2001. Friends will be received on Tuesday, February 5, 2019, from 11 a.m. until the time of services at 12 p.m. at Vorhis and Ryan Funeral Home, 11365 Springfield Pike, Springdale, OH 45246. Burial will follow at Spring Grove Cemetery.